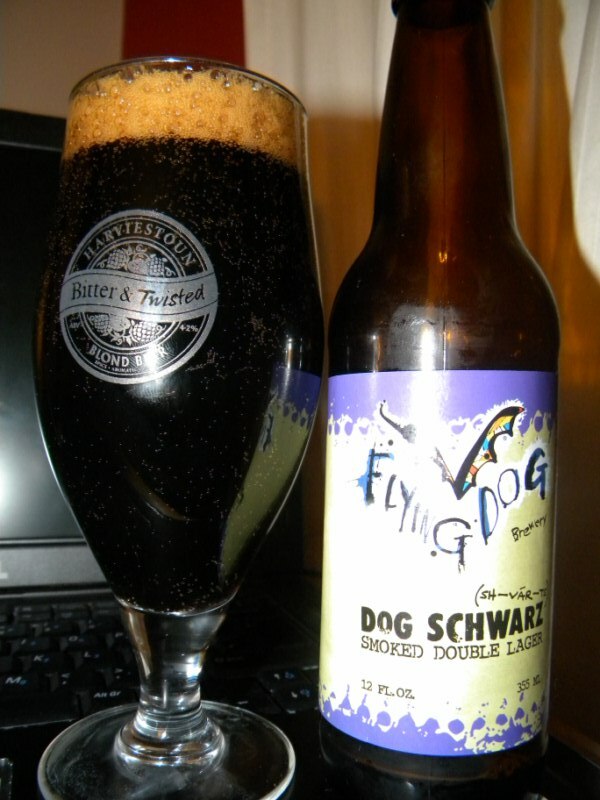 Dog Schwartz is one of the newer beers from Flying Dog. It's a Rauchbier which is a Smoked German Lager. This is a double lager though which is evident at 7.8% ABV. The aroma was Smokey, vanilla and some liquorice. This followed through to the taste and I was surprised by just how much vanilla bean I got. 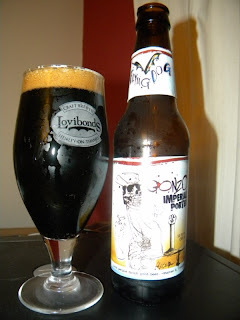 The body was a little on the thin side but I think that is more to do with the perception that there is so much more going on in this beer that you forget it is still a Lager so in that sense, it is more of a medium bodied lager. This beer was fantastic and if you like smoked beer, I can not recommend it enough. At 11.5% ABV Double Dog is a proper Double IPA and I may go so far as to say it is one of the best examples I have come across. The aroma is quite sweet with pine, grapefruit and maple syrup dominating. All of this comes across quite clearly in the taste with the addition of a sherry like booziness of that 11.5% hitting you on the finish. The lingering boozy and altogether bitter finish does it for me. A real winter warmer and an absolutely cracking beer. It left me wanting more but knowing that I should probably stick to just one of these every now and again but I reckon I would have no problem drinking them all night. Gonzo is an Imperial Porter coming in at 9.2% ABV. Caramel and Vanilla in the aroma and some chocolate perhaps. No roast coffee though. The taste adds the roast coffee missing from the aroma but it is subtle with chocolate sweetness dominating. Seems like you found three kings. 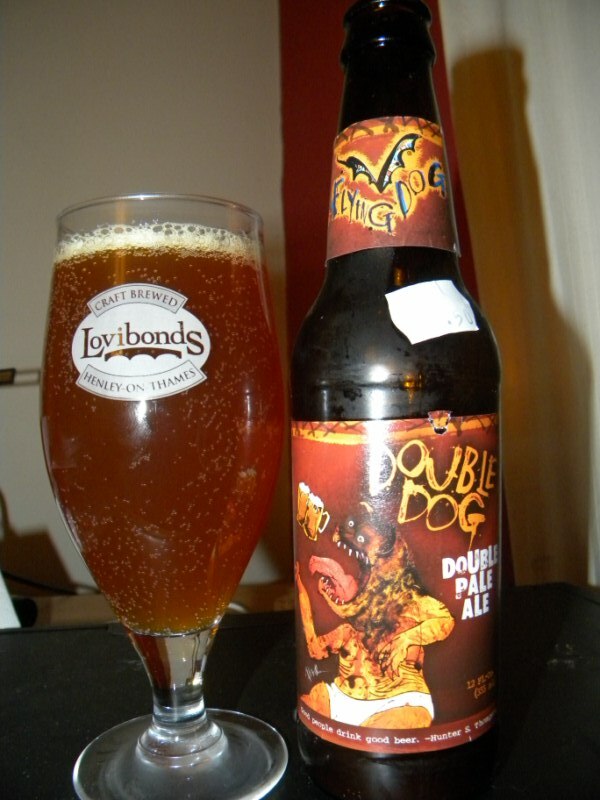 Double Dog: what a classic!